I’m Allyson… a fitness coach and an integrative nutrition, holistic wellness and lifestyle coach. For the past 15 years, I’ve made it my mission to help my clients, family, friends, and community live more connected, healthier and happier lives. As a former singer, dancer and entertainer, I conditioned myself through fitness. Exercise not only kept me looking fit, but it made me stronger and gave me the confidence I needed when I set out on stage. I started teaching group fitness classes as a teenager for fun and before I knew it, I was certified in various programs (kick-boxing, Pilates, sports-specific training, peri-natal fitness, fitness for kids) and shortly after had a full fledged personal fitness coaching business. I found passion in working with every day people who wanted to be healthier in mind, body and spirit. They wanted to reach goals of losing weight, re-shaping, feeling great in their clothes or stronger when lifting their kids. They were in it for the long haul with building stamina, gaining flexibility, coordination and balance. Early on, I noticed a common denominator with my clients. 85% of them were either stressed out, not sleeping well, low on energy, and/or taking medication for something. I had relatively young clients who were also challenged with Crohn’s Disease, Diabetes, Arthritis, Acne, digestive problems, Chronic Fatigue Syndrome and even early stages of Cancer. They were in the hands of well accredited doctors, taking all the right meds, working out and eating along the dr’s prescribed diets… but still weren’t feeling great. Something wasn’t right. I then became passionate about finding out why and started digging deeper. I was shocked to find out that the average American doctor gets less than 24 hours of nutrition instruction during their entire time in Medical School. I was also saddened to find that federal food guidelines were the result of food politics, lobbying and vested interests instead of real science. I’ve since dedicated my life to food and nutrition, drawing the connection between our ailments and our diets. 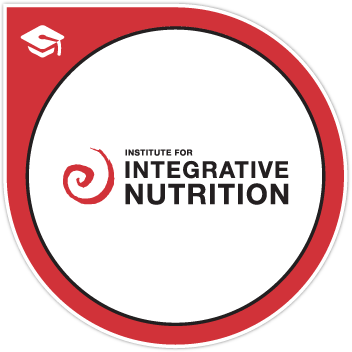 After gaining a holistic education, I started creating bio-individual nutritional programs for my clients. That means, choosing the right foods for my clients’ unique body. Everyone is different. The goal is to find the right diet that will help aid their ailments, prevent illness and nourish their health and lifestyle. You could say ‘we are what we eat’. Indeed, I believe that. I not only believe we are what we eat, but also what we think, what we say, how we live, where we live…Our entire lifestyle and the energy we create everyday plays an integral part to our overall wellbeing and happiness. I’ve always been fascinated with home design, and living a more organized life. I truly believe how set up our homes and work space transcends into how we go about our everyday activities. If you’re surrounded by clutter at home, there is a good chance you struggle with seeing clearly in other areas of your life – perhaps resulting in a lack of productivity or even road blocks. If you have a house that inspires you when you leave in the morning, it is more likely you set out with greater daily aspirations. If your home is comfortable and peaceful, chances are you more able to relax and unwind in your space after a long day of work. I’m also a big fan of community. I know together we are so powerful. Health and happiness are contagious. I welcome feedback. Please comment, write in with any questions, share your stories, give and receive recipes or just say ‘hi’! I look forward to hearing from you.